Some days you will be bursting with ideas, ready to write about anything and everything. But we also all have those moments when the Word document is empty – and so is our internal bank of inspiration! This solo podcast episode is full of ways to get content inspiration, so have a listen, and enjoy! PW: Hello, and welcome to episode 71 of ‘A Little Bird Told Me,’ the freelance writing podcast that tells you all the tricks of the trade. You can find us on the web at alittlebirdtoldme.podomatic.com, and from there you will find any links we mention in this episode and links to my websites and social media pages. From there you’ll also be able to subscribe to the podcast, and whether you prefer RSS, iTunes or Stitcher, it’s all easy to do from aliitlebirdtoldme.podomatic.com. 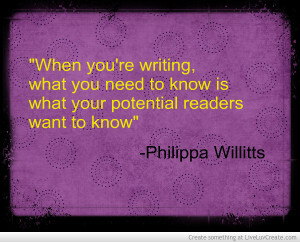 I am Philippa Willitts and today I’m going to be talking about where to find content ideas when you get stuck. We’ve all been in that situation where we need to write a blog post or come up with an idea for an article and we just hit a complete blank. There are no ideas in our brain. It happens to everybody at some point or other, so I’m going to go through a list of many, many places and things that can help you to find new ideas and come up with something exciting to write about. So, without further ado, number 1: look at real life news. What is topical? What are people talking about? And see if there’s something that you can tie in to the topic you need to write about. So if you write for a tech blog, for instance, there something that you could use at the moment is the Heartbleed security flaws that are going on at the moment. Everybody’s talking about them, everybody wants to know which passwords they have to change, what they need to do to stay safe, and that is an example of something topical that will just give you an idea of what to write about. Alternatively, if you write about health, there’s always an international day of a particular disease or an international month of a particular body part, so things like that. Check in with what’s going on at the moment, look at newspapers online, follow the news and see what inspires you. Idea number 2 is related but not the same, and that is to look at blogs. What are the blogs in your industry talking about at the moment? This isn’t to say you need to copy them, it’s to say that you can use them as something to bounce off, to develop your own ideas. I use Feedly to keep track of blogs in all different areas, some just that I enjoy reading, some that are relevant for different clients and different niches. So if I want to know what’s been going on in a particular field, I will use Feedly to look at all the different blogs in that field and scroll through what people are talking about, until I get a new idea to write about. Idea number 3 is YouTube. There are YouTube videos about everything, so if you do a search on YouTube for key terms related to your topic, you’re bound to get some ideas and inspiration from the kind of things that people have made videos about. Idea number 4 is online courses. As you will know if you’re a regular listener, Lorrie and I are both strong proponents of keeping up your skills and learning new things on an ongoing basis to keep yourself able to offer competitive services. And if you’re doing a course in one of your areas of expertise, maybe you’ll learn something new that would also be of use to the readers of your blog or your client’s blog. So, as well as using online courses as a way to keep your own skills and knowledge up to date, you can also use them to get ideas. Again, you’re not copying here, but maybe you’ve just watched a video on a particular topic and you think there’s an angle I could take with that topic that would be of interest to my usual readers. The next idea is to search on social media. You want to see what people are talking about in relation to your topic, search for some keywords and see if there’s something you’ve missed, if people have something to say about a particular topic. Maybe this is a good way to find out what that is and see whether that’s something you can expand into a blog post or an article or a white paper, or whatever it is you need to write. Topsy is a tool that can be very good for helping you to search social media and see what people are really talking about and what people are really saying. The links to Topsy and Feedly and everything we mentioned will all be in the show notes at alittlebirdtoldme.podomatic.com, so don’t worry about trying to memorize everything I say. Just head over there when you’re ready and then all the links will be there. Now an alternative to doing social media searches is to browse your social media contacts’ updates. Often people won’t use the keywords you might search for. Rather than doing a search for particular keywords, make use of your Twitter lists or Google+ circles to see what relevant people are talking about, regardless of whether they are using the particular keywords you might search for or not. This, again, can give you some great ideas for not just what people are talking about, but also what people want to know, because really what you need to write is something that people want to know, because then they will click through and read it. 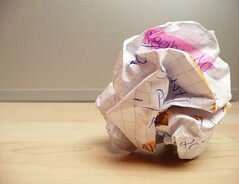 Idea number 7 for finding content ideas is to look on the website – in the literature of relevant organizations. Look at the press releases they send out, look at their news feeds, if they have a page of news updates, and see what they’re talking about. If they’re talking about a particular topic it may well be that your readers, as well, or your client’s readers, as well, want to know the same information. So keep an eye on what maybe industry leaders are talking about, or industry regulators, or bodies or government departments related to your topic – all of that kind of thing. What are they talking about? What questions are they answering? 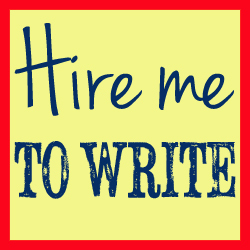 And can you use those as jumping off points for your own content writing. Idea number 8 – podcasts. I listen to a lot of podcasts, and they’re great for giving me ideas for things to create content around. From a podcast you can get really specialist information from people who are the absolute experts. And so take advantage of that. The more you listen to, the more you will learn anyway. And so why not also use them as inspiration to give you some ideas and get your creative juices flowing. The next suggestion is a bit different, and that is to stop trying so hard. You know how it is sometimes, you think and think and think and there is just nothing coming into your mind. And then the moment you stop trying you’re suddenly full of ideas, like when you get in the shower or you start doing the washing up or you get on a train. You suddenly got more ideas than you can deal with, and that’s because you can push it too far, and that’s because… You know, there are times when you just need to give yourself a break, and trying to force a new idea will just get you nowhere. So if you’re really, really stuck, take a break. Have a change of scene, go for a walk around the block, go get yourself an apple to eat, go have a shower, do something completely different from searching your brain and searching the web for ideas, and see if anything comes to you naturally. Idea number 10 for content ideas is brainstorming. You might want to do this using a mind map online or a big piece of paper and a pan, but write down in the middle what you need to write about, what your general topic is, and then start connecting ideas from that. Write down any keywords that come into your mind. Connect things that are connected and then write down what springs to mind when you think about those keywords. Write down whatever comes into your head, whether it seems relevant or not. Get it all down on paper, and soon you will start coming up with content ideas that make sense for the platform you’re creating for. Idea number 11 is a great website called Quora, which is a question-and-answer website. But what makes it different to, say, Yahoo Answers, is the depth the responses go to, and the quality of the responses. There is some incredible information on Quora that people – there are real experts and real specialists will respond to. 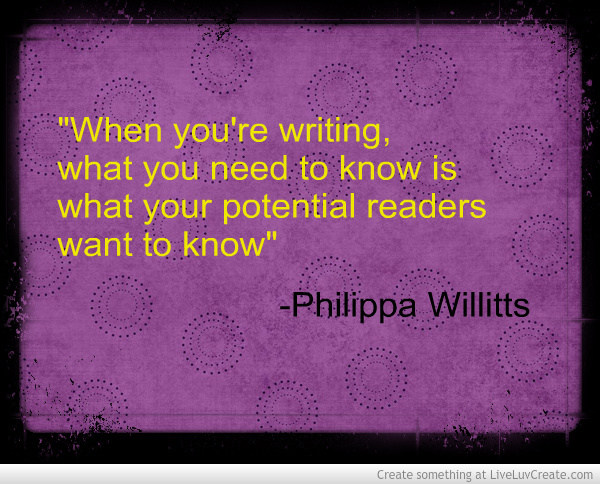 And often when you’re writing what you need to know is what your potential readers want to know. And so by looking at Quora you can see the exact questions that people are asking. And you can get some tips on how to answer them by the answers that are provided. In a similar way online forums can be a great way to get ideas for content. Again, if you’re looking to find out what your potential readership wants to know, then go to forums where people are asking and answering questions. If you write about SEO then go to an SEO forum, look at the most recent 20 posts and see if there are any themes in what people are trying to find out. Do people want to know how to build natural backlinks? Do people want to know how they need to sort out the rel=”author” tags on their site and take advantage of that insight into what people are looking for and provide that information yourself. 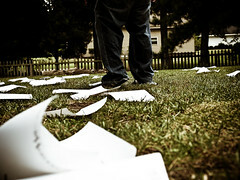 Idea number 13 – unlucky for some – is surveys. You can look for the results of surveys that people have carried out in your topic area to find out all sorts of information and to get plenty of ideas for blog posts, articles, social media content – all of those things. Alternatively or additionally, you can create your own surveys, especially if you’ve got a decent social media audience, then this can be a great way of getting really detailed information about what people want to know, about what they think blogs don’t cover well enough. All that kind of thing you can find out by setting up your own survey. You could do that using a site called SurveyMonkey, or you can do it using a Google form which will just drop all the results into a spreadsheet for you. Idea number 14 is to use to a brilliant little site called Google Trends. Now through this you can find out exactly what people are talking about right now. You can break it down based on geography, on time, and you can look at the results in different visual ways. You can see basically what the trending topics are on the web and find out exactly what’s topical, exactly what people want to know, exactly what people are searching for and take advantage of that to give yourself some ideas to write about. Suggestion number 15 is to use a keyword suggestion tool. Now I’m going to mention two here, and they’re both free. One is the Google Adwords Keyword Planner, which is the replacement for the Google Adwords Keyword tool that people used to use. Now with this what you can do is type in some keywords related to the industry you’re writing about, and then it will tell you what people are searching for and how many people are searching for that thing, plus how much competition there is for that search. So if you’re looking to write a post that you have a chance of ranking well in the Google search results, this is a great way of finding topics that a decent number of people are searching for every month, but that isn’t already highly competitive to rank for. So you might think you’ve got a great topic but only 20 people a month search for it. So using the keyword planner it will give you alternatives, different phrases, different words, so you can find the best thing to write about. And then it goes through every letter of the alphabet. So for A, it gives me “health and safety at work”, “health and safety authority”, “health and safety articles.” For B, it’s “health and safety book”, “health and safety blog”, “health and safety benchmarking” and so on, and so on, going through the alphabet and then on to numbers, as well, if they’re all things that are being searched about that include numbers, which this doesn’t have any results for. And then for each of these results you can click on those and it will give you even further ideas. So for Y it gives me “health and safety York”, so I clicked on that and from there I get “health and safety York University”, “health and safety jobs York”, “health and safety executive York”, “occupational health and safety York”, all these kinds of things. And so you can drill down and get more and more specific. And this tool really is great for giving you ideas to bounce off. You know you need to write about a particular topic, and you’re completely stuck for what to do with it. 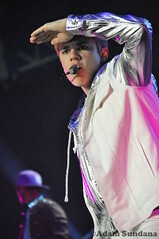 Then try out Ubbersuggest. Again, the link will be in the in the show notes. Suggestion number 16 is to look at the trending topics on Twitter and Facebook. These won’t specifically relate to your industry area, usually, but it will tell you what people are talking about. So if everybody is tweeting about Britain’s Got Talent or everybody on Facebook is talking about some celebrity gossip, then see whether there’s a way you can tie in those topics to your suggested area. There are always, always blog posts doing the rounds about… They’re usually quite spurious, but it gives you somewhere to start. Something like “what Gwyneth Paltrow’s divorce can tell you about social policy” or “what such and such libel trial can teach us about SEO”. It’s a controversial approach but it often will get plenty of hits, even if it feels a bit icky to write about sometimes. Idea number 17 of 19 – Google News Alerts. You can set up within Google – you just do a search for Google Alerts – you can set up a system where whenever something new is written about a particular topic, Google will email you. Now this can be news topics specifically, or it can be any search results at all. And the way it works is you can set up to receive instant email notifications or once a day, or whatever timing suits you. And you can set it up for just new sources, just blogs, or anything on the web. You can also ask it to tell you everything, or to make its own judgment and only give you better quality things. But this way you can get things direct to your inbox that will give you ideas to write about. I get news alerts on various topics that I write about. Because I use Gmail, I’ve set up filters so they skip my inbox and go directly to their own particular folder, so that then, when I need some ideas I head over to that folder and see what the latest is. So the penultimate suggestion for finding content ideas is a service called StumbleUpon. This has been through various iterations in its life and, basically, it’s a way of finding new websites or new content without having to search for it. It can be entirely random or – and this is more relevant for finding content ideas – you can set it up in certain subject areas. So you might want health or technology or craft or whatever is relevant to you. And then, basically, there’s a button at the top of each page that says StumbleUpon. You hit it and it takes you to a random website in the area you specified. And then you can look at that site and then hit StumbleUpon again, and it will take you to another. Hit it again, it will take you to another, and so on, until you come up with something that inspires you. As well as this, and there’s an alternative to hitting the StumbleUpon button, you can hit a Thumbs Up or a Thumbs Down button, depending on what you think of the sites it’s given you. And this is particularly good because StumbleUpon thing uses that information to try and only deliver sites to you that it thinks you will like. So you basically teach it what you like and what you don’t, and that can improve the results you get. And my final suggestion for finding content ideas – number 19 – is your own website stats or your client’s website stats. You want to know how people are finding you. You want to know which pages are the most popular because then you know what people want, you know what they’re looking for. If a lot of people find you via a particular search query, then write a post responding specifically to that search query. If you’ve got particular pages that get far more visitors than your other. If you’ve got particular pages that get far more visitors than the rest of your site, then look at what’s on those pages and find out if there’s something, you could go into more detail to gather more of that kind of traffic. You might get your stats through Google Analytics, in which case you get a lot of detailed information, or you might use a more simple plugin or third-party service. But whatever it is, you want something that gives you the ability to see how people find you, what’s the most popular part of your site so you can build from there and create more of the content that your specific readers are looking for. And so that is my top 19 best ways to find content ideas. Do you have any others? Is there anything I’ve missed off? If so, head over to our Facebook page at facebook.com/freelancewritingpodcast and tell us. Comment on one of our updates, and let us know the places you find ideas for content when you’re running out of inspiration. And so now it is time for the Little Bird recommendation of the week where I give a suggestion of something I’ve enjoyed, something that I think will be useful to listeners or just enjoyable or interesting. My recommendation this week is from Mashable and it’s an article called ‘How to Succeed in Business without Becoming an Alcoholic.’ And it’s got some really nice suggestions, and it’s really well written about different ways to keep your business a success without ending up in a position where you can’t do anything else, you can’t ever wind down. And it’s quite simple. It’s not particularly necessarily new information, but it’s presented really nicely in a way that might give you some ideas if you find that you are working far more than you’re not, and you really need a break. And so, as ever, I will link to that in the show notes and I recommend that you go over and have a read from there. And so that is the end of episode 71 of A Little Bird Told Me. Make sure you head over to allittlebirdtoldme.podomatic.com and follow the links to all the places I’ve mentioned in today’s podcast. Make sure you also check out our Facebook page and feel free to check out my own social media feeds and websites, as well. From our Podomatic page you can also subscribe to make sure that you never miss an episode. Thank you very much for listening. I’ll be back with Lorrie next time for a dual episode, and we will see you then.